Recent research by Coleman Parkes in November indicates that 74 per cent of IT decision makers and CIOs expected to see cost savings when they embrace the cloud, however just 41 per cent believe they actually achieve these savings. 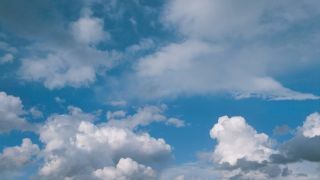 The benefits of cloud have been well-publicised, but there's clearly not enough being done to put a cost value on those benefits and to work with IT decision makers to take advantage. Cloud is a great asset to any business, but it needs to be quantifiable. By following a systematic approach to identifying and measuring cloud's short-term and, importantly, long-term benefits, IT decision makers will be able to measure the cost benefits of cloud and keep the CFO content. One of the most significant advantages of the cloud is the ability to scale up and down on demand in line with businesses' requirements. For companies that cater for large seasonal demand such as retailers, cloud enables organisations to essentially pay as they use, without having large systems sat idle in-between. These cost benefits may not always be apparent. When initially budgeting for a new IT system, factor in the cost of each upgrade in system capacity that may be required in the future, for both cloud and other alternatives. That way, as your storage needs increase, the costs can be measured against the cost that would have been incurred if upgrading physical storage in a private datacentre. Data can now be stored with Amazon Web Services (AWS), for example, for as little as $0.01 USD per GB/month. Building a data centre is like buying a new car, the minute you drive it off the forecourt it starts depreciating in value, and is quickly superseded by a newer, faster, more efficient model. By hosting data in the cloud, through providers such as AWS, users have access to the most advanced technology that's constantly updating at no cost to the user. Once again, long-term financial planning is required to compare the cost savings of cloud with the lifespan of a traditional data centre, its upgrades, and eventual renewal. It's not just the initial cost of buying the hardware to run a data centre, there's also the cost of the space it occupies, the powering, cooling and technical support required to run these systems. It all makes calculating the cost of running a data centre harder to factor in, but scaling this down to an equivalent monthly cost can make it easier to compare to cloud storage. Cloud also has the advantage of freeing up the IT department from undertaking basic system administration and support tasks needed to take care of the hardware. This allows them to instead concentrate on analysing the data to inform decision makers and help the business to innovate. This can be measured using timesheets and is a more productive and a smarter way of working. Cloud has substantial advantages to companies running data centres for testing and development purposes. These centres are often required to be full size and spec, and incur large running costs despite not being fully utilised. Cloud allows for virtual testing spaces to be created that have the ability to be turned on and off and scaled up and down on demand. Again a monthly saving can be worked out by comparing both the monthly running and equipment costs with the future cost savings of mitigated system upgrades. Cloud service providers must do more to work with businesses to help them realise the cost savings of cloud. It's important to consider both the short and long-term benefits of moving to the cloud compared to the constraining alternatives such as a private data centre, with its upgrades and eventual replacement. Cloud has many advantages beyond cost savings, including the cultural benefits of more flexible working and providing the freedom to innovate. By identifying the benefits, and creating a plan to measure these against the cost of alternatives, organisations can create a personal plan for measuring cloud financial benefits. Businesses must look to the longer-term benefits and autonomy that cloud has to offer. The cost savings of cloud aren't all about the quick win, rather they're about finding the most effective and efficient solutions that will enable companies to realise their long-term ambitions. Pontus Noren is co-founder and director of Cloudreach. He has worked for blue chip companies including Cisco, Nokia and Ericsson, and has over 18 years international experience in IT Sales, business development and product management.